PLUSCO 307 EIC Environmentally Safe Internal Pipe Coating is an environmentally acceptable, internal pipe coating especially formulated to protect the I.D. of tubulars from the harmful affects of corrosion during extended storage.PLUSCO 307 EIC Environmentally Safe Internal Pipe Coating does not contain offensive fish oil odors common to some conventional coatings. PLUSCO 307 will not dry out, crack, gum up, or reduce the internal diameter of the pipe. Any excess coating applied to the internal diameter of the pipe will not result in build up, nor will it cause contamination or sheen on water when spillage occurs. PLUSCO 307 EIC Environmentally Safe Internal Pipe Coating is formulated with balanced synthetic rust and oxidation inhibitors designed to provide maximum protection against the effects or corrosion and oxidation. The residual protective film is biodegradable and completely safe for use where environmental concerns are greatest. PLUSCO 307 EIC Environmentally Safe Internal Pipe Coating is recommended for use on oilfield tubular ID surface, newly machined surfaces, threaded connections, metal parts, fabricated components and equipment, particularly for shipping where rust and corrosion are a frequent problem. PLUSCO 306 is especially effective in protecting grinded or highly polished steel surfaces. 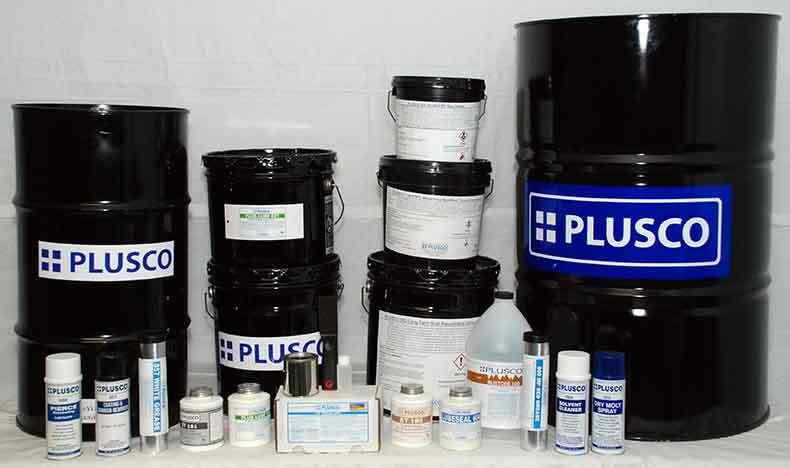 PLUSCO 307 EIC Environmentally Safe Internal Pipe Coating is also recommended for application to finished machined surfaces on tools while inventory for medium term storage. For best results, surface has to be cleaned with proper oilfield equipment or sandblasted. PLUSCO 307 EIC Environmentally Safe Internal Pipe Coating may be applied with air spray or airless spray methods on tubing, casing line pipe, drill pipe, drill collars, small tools and equipment. It may also be used as a dip tank coating for protection of pipe between rentals.